Elegant stump doll pattern by Arley Berryhill. Uncut and unused. Will be posted in an envelope. Please see my listings as I have heaps of cloth doll sewing patterns for sale. OCEAN BLUE. 1/2 round acrylic doll eyes. These eyes can be baked up to 135 degrees Celsius. paperclay cloth doll pattern by Susie McMahon. Uncut and unused. Will be posted in an envelope. Please see my listings as I have heaps of cloth doll sewing patterns for sale. Great for Teddy Bear Doll Animal Puppet Crafts. Good used for DIY,Scrapbooking,Card making,Toy and Craft. 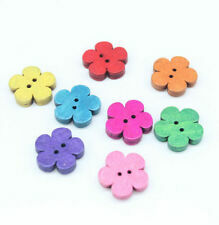 12mm:each colors 14pcs,5 colors in total. Black Eyes 94 x Black Plastic Safety Eyes. 100 x Colorful Plastic Safety Eyes. HEAVENLY BLUE. 1/2 round acrylic doll eyes. This is for 1 pair of eyes. These eyes can be baked up to 135 degrees Celsius. Kaiser manufacture stands for every size and type of doll and teddy bear - from ones as small as 3 1/2" to those as large as 48". The difference is Kaiser stands have fully plastic coated doll grabbers and a (much) heavier solid steel base plate. Doll Stand by Kaiser (USA), Metal base #2601 to suit dolls 14" - 22""
5 out of 5 stars - Doll Stand by Kaiser (USA), Metal base #2601 to suit dolls 14" - 22""
1 product rating1 product ratings - Doll Stand by Kaiser (USA), Metal base #2601 to suit dolls 14" - 22""
Used for weighted blankets, toys quilts and craft. Australian made. Suitable for many kinds of puppets, like doll, Teddy Bear, plush animals, etc. Material: plastic. Children should use it under parents' teaching, in case of their mistaken eating. Great for hand making and kids' early education, convenient to use. 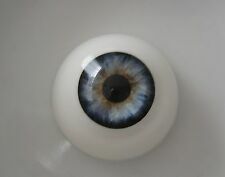 4 Pairs 8mm Doll Eyes BLUE BROWN GREEN GREY Eyeballs Colored Round Plastic Bear. 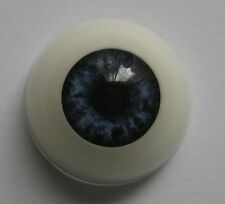 4 Pairs 10mm Doll Eyes BLUE BROWN GREEN GREY Eyeballs Colored Round Plastic Bear. 4 Pairs 14mm Doll Eyes BLUE BROWN GREEN GREY Eyeballs Colored Round Plastic AU. Cute jointed doll pattern by Judi Ward. Uncut and unused. Will be posted in an envelope. Please see my listings as I have heaps of cloth doll sewing patterns for sale. 1/2 round acrylic doll eyes. These eyes can be baked up to 135 degrees Celsius. Set of 3 patterns by Mary Tressler, Uncut and unused. Dragon Dance Caberet Shanti Will be posted in an envelope. Please see my listings as I have heaps of cloth doll sewing patterns for sale. Cloth doll sewing pattern by Christine Treleaven. A gnome and a fairy Uncut and unused. Will be posted in an envelope. Please see my listings as I have heaps of cloth doll sewing patterns for sale. 4X Doll Stands. Our goal is to make sure that you can find exactly what you are looking for and make it easy for you to place your orders. Size:tall 21.5cm. Set of two doll sewing patterns by Judi Ward. 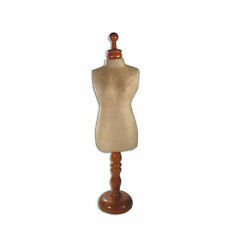 The first is a reproduction wooden doll pattern which you make from fabric. The second pattern is a supplement to the first to make an elegant lady. Uncut and unused. Will be posted in an envelope. Please see my listings as I have heaps of cloth doll sewing patterns for sale. NEWBORN BLUE. 1 pair 1/2 round acrylic doll eyes. These eyes can be baked up to 135 degrees Celsius. Poly pellets Australian made. Great for weighted blankets toys craft doll making and more. NEWBORN BLUE. 1/2 round acrylic doll eyes. These eyes can be baked up to 135 degrees Celsius. 1/2 round acrylic doll eyes. This is for 1 pair of eyes. These eyes can be baked up to 135 degrees Celsius. Package include: each size 10Pcs For needle felting create a small hole by stabbing socket with a felting needle or poke a hole with a sewing needle then sew eye into socket and through to the back of the head and back thought to the other eye, cover stitch with some wool. Material: Glass Steel Pins A box to help you make the eyes tidy,come with no washers, you need to glue them on. 1/2 round acrylic doll eyes. This is for 1 pair of eyes. These eyes can be baked up to 135 degrees Celsius. Made by PABOL INTERNATIONAL. An excellent way to show your beautiful doll or bear. Note:Light shooting and different displays may cause the color of the item in the picture a little different from the real thing. adjustable design, so you can place it under his arm or around his waist. Cute necklace purse sewing pattern by Karen Shifton. Uncut and unused. Will be posted in an envelope. Please see my listings as I have heaps of cloth doll sewing patterns for sale. These noses for Puppets, Dolls, Teddy bears, Plush Animals, Fantasy Characters and monsters, Sewing and Crochet Projects. Material: plastic. Detail Image. USA, Canada, United Kingdom, Austrilia, France, Germany, Spain, Ireland, Italy, Others. OCEAN BLUE. This is for 1 pair of eyes. These eyes can be baked up to 135 degrees Celsius. Made by PABOL INTERNATIONAL. 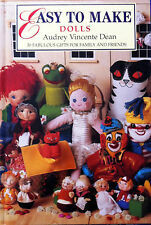 The Dolls Dressmaker The Complete Pattern Book HC. Condition is Used. Sent with eBay Australia Post Flat Rate 3kg Satchel. 1/2 round acrylic doll eyes. WINTER BLUE. This is for 1 pair of eyes. These eyes can be baked up to 135 degrees Celsius. Doll Stand by Kaiser (USA), metal base #3201 to suits dolls 20" - 30""
The #3201 has an 8" base and a fully coated doll grabber that extends in height from 10 1/2" - 15". This stand suits dolls from 20" - 30" and with a waist of approx 8". Kaiser manufacture stands for every size and type of doll and teddy bear - from ones as small as 3 1/2" to those as large as 48". The #2101 has 3" base and a fully coated doll grabber that extends in height from 5 1/2" - 7 1/2". This stand suits dolls from 8" - 14" and with a waist of approx 5 1/2". Kaiser manufacture stands for every size and type of doll and teddy bear - from ones as small as 3 1/2" to those as large as 48". Designed for Betsy McCall and similar type narrow waist dolls this stand has a 3" base and a fully coated doll grabber that extends in height from 4" - 6". Kaiser manufacture stands for every size and type of doll and teddy bear - from ones as small as 3 1/2" to those as large as 48". Great for Teddy Bear Doll Animal Puppet Crafts. 70 x 12mm Colorful Plastic Safety Eyes. Good used for DIY,Scrapbooking,Card making,Toy and Craft. 94 x 6-12mm Black Plastic Safety Eyes. 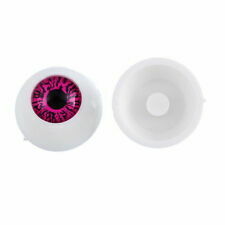 100 x 10mm Colorful Plastic Safety Eyes. This tool is easy to use, and will take a full size needle without it needing to be cut. I have sourced a very top quality product which you are sure to love. Reborn Kits. © 2016 AUSSIE REBORN SUPPLIES. Doll Stand model #DP23, with a 5 1/2" wood base to suit dolls 16" - 26"
We carry a full range of wood based stands for every size and type of doll - from ones as small as 6 1/2" to those as large as 46". As well as specialty stands for dolls such as BJD, French Fashion, Antique and similar dolls. Congratulations your baby is now painted and needs hair. Why not choose this Mohair. I have sourced a very top quality product which you are sure to love. Reborn Kits. © 2016 AUSSIE REBORN SUPPLIES. DESIGNED BY: ELINOR PEACE BAILEY. ANNE OF THE CELTIC MIST. UNCUT PATTERN. DOLL PATTERN. Four pairs of plastic eyes for dolls or masks. The doll eyes are of oval shape, and are flat and hollow in the back. They are great DIY accessory. 8 x Plastic doll eyes. - Shape: Oval. - Four pairs of beautiful and lovely eyes for masks or dolls. If you’re mad about doll making, you know it’s an intricate process requiring skill, patience and an eye for detail, not to mention equipment, accessories and materials you can count on when you’re feeling creative. To grow your collection of these precious gifts and toys, you need access to an array of quality doll making and repair supplies. There’s an endless list of bits and pieces that could prove rather useful, so head to eBay to find exactly what you’re looking for. And if you’re on a budget, you may want to buy in bulk. So what does it take to create and fix the most beautiful and interesting dolls from either a doll design ideas book or your own imagination? Quite a lot actually! At various stages you will want to get your clever hands-on doll making and repair clothes, patterns, stands, paints, hair, eyes, bodies, eyelashes, wigs, heads, legs and more. Remember, the more detail you give your dolls the more realistic and artistic they become. From a handful of doll display stands to hundreds of different sets of doll making and repair eyes, eBay has everything required to build your personal doll making kit. Materials for repair and restoration are also essential. Vintage dolls can suffer general wear and tear over the years, but you will always be able to bring your favourite items back to life if you own the right supplies. Your growing collection doesn’t have to be restricted to regular dolls. You can use your doll making repair products on teddy bears, puppets, plush animals, fantasy characters, and various other sewing and crochet projects. Discover a world of practical and spectacular doll making supplies and repair products at eBay today!